We kochten dit prachtige appartement met twee slaapkamers aan de rivier in februari 2016 als een tweede huis en konden we ergens als toevluchtsoord aan de kust gebruiken, genieten van het lokale landschap en, nog belangrijker, ontspannen. Het appartement heeft een fantastisch uitzicht op de rivier vanuit de woonkamer of slaapkamer, waar u de stoomtrein van Noord-Yorkshire kunt bekijken tijdens zijn bezoeken aan het treinstation Whitby. Daarnaast beschikt het appartement over een undercroft beveiligde parkeerplaats. In 2019 is het appartement volledig opnieuw ingericht, de badkamer is bijgewerkt met een inloopdouche, nieuwe badkamer suite en een nieuw verwarmingssysteem. Het appartement heeft Bluetooth-luidsprekers in de badkamer en een nieuw Google Home met muziek op aanvraag in de lounge. Communication with the owner and keyholder was great. The flat was in a great location for us, very quiet area with secure parking and only a 10 minute flat walk into town. Very comfortable and lovely views from the living room window. The shower needs updating but we are aware this has already been planned by the owner, once done it will be a great place to stay. Thank you for your review and we are delighted that you enjoyed your stay. The bathroom is being refurbished in January 2019 with a walk in shower. We hope you stay again and look forward to welcoming you. We loved everything about it (except the cramped parking!). The apartment had all necessary facilities and great views of the harbour. Very well positioned. Easy walking to the town centre and restaurants. Happy to recommend it. Thank you for your response. We are delighted you enjoyed our apartment. The undercroft parking can be tight especially if both apartments have big cars as I know well! There are visitors spaces that can be used but hopefully you will become a regular guest and the parking will be easier. Thank you once again and we hope to see you again soon. Thank you for your comments and hopefully we will see you soon. Great apartment, ideally situated 10 mins walk from main parts of Whitby. Overlooking the River Esk, lots to see and do. Loved watching the steam trains go by and crabbing just outside of our window! Will definitely return! Highly recommended. Thank you for your wonderful review. We are delighted you enjoyed our apartment and would welcome you back anytime. Thank you for your comments we do appreciate all feedback. We have a number of guests who are returning on a regular basis and are delighted that our guests enjoy our home. We look forward to welcoming you back to our home. The apartment was lovely, spacious, clean and well furnished. We loved being able to look out the patio doors over the river and seeing the trains. 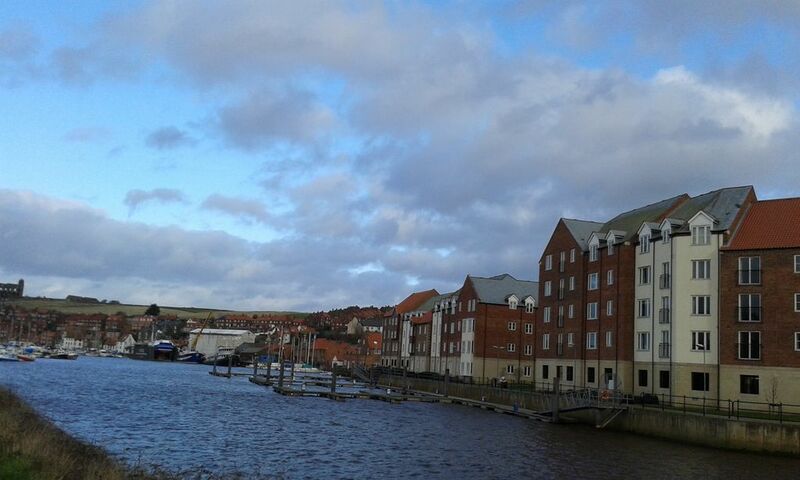 It was also great being able to walk into Whitby which we also loved. Thank you for your comments, we are delighted you enjoyed our apartment and would welcome you back anytime.